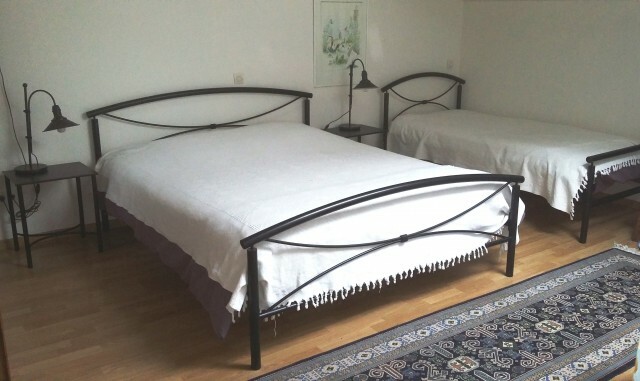 Small inn operating as a bed and breakfast, on a volcano in Auvergne with stunning views of the volcanoes. In full nature, silence and total tranquility. Green management, meals with local and organic products. From us you can discover the Auvergne (it is less than 50 kms of the most important tourist sites). 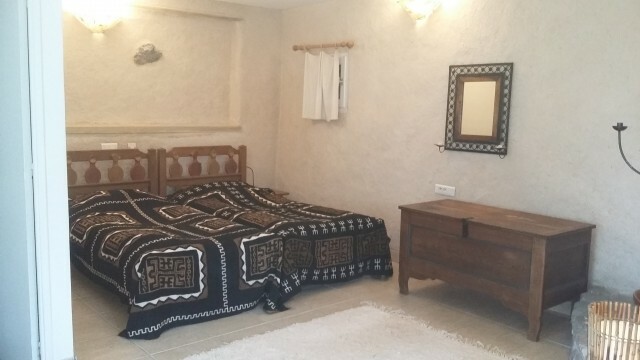 If you want to stay put: there are several walks around the hostel, you can relax and feel good in our banya, a Russian sauna, help us feed the farm animals, or just stay in the nature and enjoy the silence and calm. 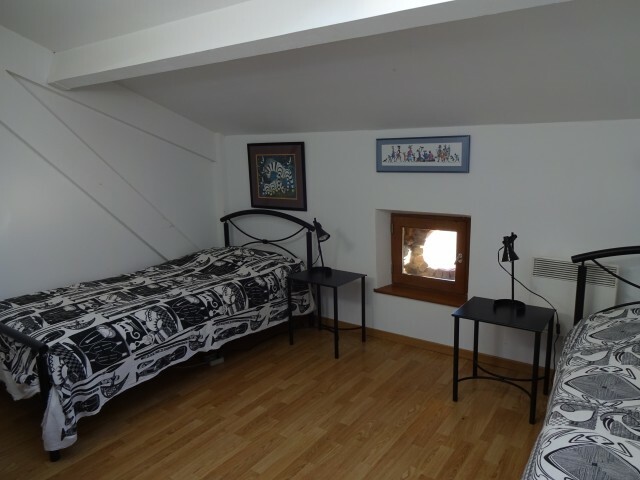 A very big room, renovated with natural materials, with a double bed and, on mezzanine, three single beds. 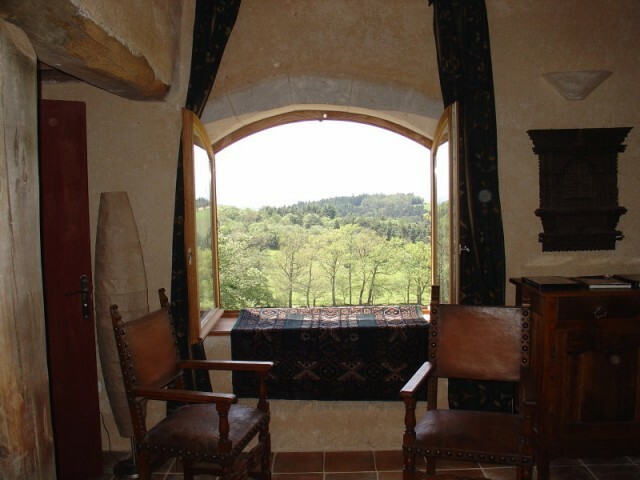 The room is situated in small XVth century annex and has a beautiful view.